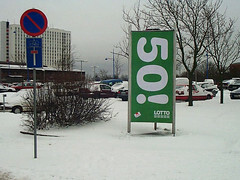 November 2012 is coming to a close, and with it a month long celebration of turning 50. To family and friends who made this a special experience, I tip my wool hat to you in gratitude and love. The building blocks to 50 are indeed moments, not years represented by candles on my cake. I have been alive for 18,515 + days – I can’t remember each one, but I know some were pretty great. Here are the moments that came to me when looking back. Like the day I was allowed to ride my bike away from home on North Street and not return until supper time…(no cell phones then!) I chose to go to Wampatuck State park with a group of friends… a goodly distance from my house. I felt as far away as if I had jumped a freight train to California. That was a great day. Or the day I discovered a cave-like hole in the HUGE tree at Mrs. Delory’s house next door…where a lightening strike had made a natural fort for us neighborhood kids. Any day loose in Mrs. Delory’s yard where the sledding hill called to us in winter, the big tree in summer, and the scary barn stories any time of year was a great day. Thank you for scaring all of us, Marti. The day of the Grateful Dead concert at Umass Amherst 1978. Epic show/heroic friends JoAnn, Patty, Stephanie, BFF Dave, and assorted wayfarers. Hilarity I could never hope (at the time) to repeat. Ski trip to Black Mountain in N.H. 1970’s. My brother and I laughed so hard that I peed my snowsuit and his jaw locked—just as a snow storm hit–so his mouth filled with flakes while we guffawed our way down the mountain. Fortunately Dad was at the lodge to save the day! Pretty great day. Many great days/moments with Steve and the kids, but I will pick this one. Christmas Eve in the mid-2010’s. We had cleaned up from our annual party, enjoyed our fondu dinner, held the card contest, and sat down to play Five Crowns. I took a breath and totally relaxed thinking: this is as good as it gets. I promised myself to remember that simple moment. Thanks for being part of my first 50 years. This entry was posted in general and tagged 50, Arizona, birthdays, Black Mountain, California, Christmas, Christmas Eve, Colorado River, creative writing, Five Crowns, Grand Canyon, Grand Canyon National Park, Grateful Dead, UMASS Amherst, United States. Bookmark the permalink. When I turned 40 my gift to myself was to buy whatever I wanted for the next year. I’d recommend the same approach for the beginning of your 6th decade on the planet. Well done. I find as I grow older I see new things every day. the house around the corner that I never noticed before. One of my fondest memories is sliding on Mrs. Delorey’s hill. That little bump near the bottom of the hill made the long climb up worthwhile. Almost forgot about that little bump! Thanks for the reminder. I love this!! (And I love you!) Happy Birthday! I love professions of love on my blog-post! Back atcha Martha! We are all an accumulation of moments in time which become our memories. Most of these are ordinary, some are painful and if we are lucky enough we get some incredible, extraordinary ones. Having a milestone, like turning 50, is a perfect time to review these moments. By reviewing our past our present and future can become so much clearer. Yes! My present and future did become more clear, JoAnn. You have been a big help along my path to figuring it all out. Blessings to you! I loved this piece, Sally. What a gift! So grateful that our paths crossed over the summer at Stonecoast.